To a degree not quite seen before, a major piece of the proposed interoperability rules put forth by the Centers for Medicare and Medicaid Services this past month is new regulation aimed at payers. 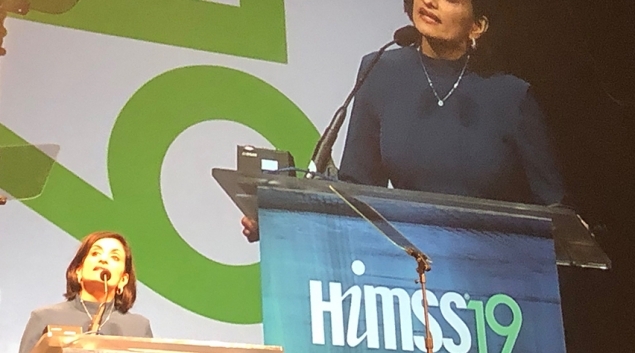 “By requiring health insurers to share their information in an accessible format by 2020, 125 million patients will have access to their health claims information electronically,” said CMS Administrator Seema Verma when the rules were announced in February. The momentum behind that move had been building for some time. This past summer, as part of the Blue Button 2.0 initiative, CMS made Medicare data available for some 40 million beneficiaries. Now the insurance industry is reaction to CMS’ proposed rules. In comments submitted in advance of yesterday’s Senate HELP Committee hearing on the various interoperability provisions of the 21st Century Cures Act, America’s Health Insurance Plans expressed qualified support for the efforts. The comments were not AHIP’s official response to the proposed rules – the comment period is open until May 3 – but the group emphasized that it has big concerns about the aggressiveness of the the proposed requirements. AHIP also raised concerns about data privacy, and said it’s focused “ensuring that the rules maintain and enhance patient protections, minimize administrative burdens and establish clear data standards and operational protocols to put meaningful information into the hands of patients, doctors, and insurance providers.